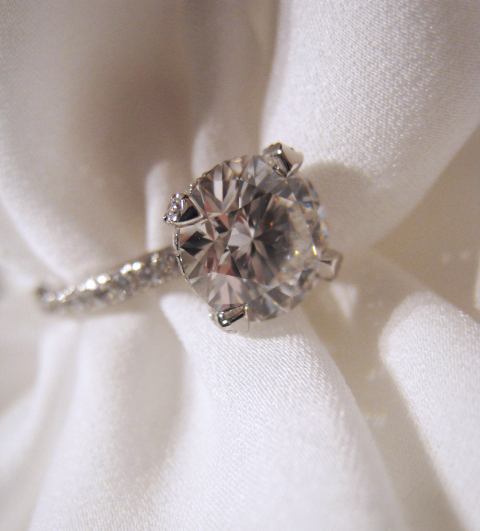 The pavé diamond solitaire is a captivating classic, and this week’s featured jewel–an engagement ring posted by ShaniB–shines with exquisite detail. Thanks everyone for sharing your gorgeous jewelry in the Show Me the Bling forum! 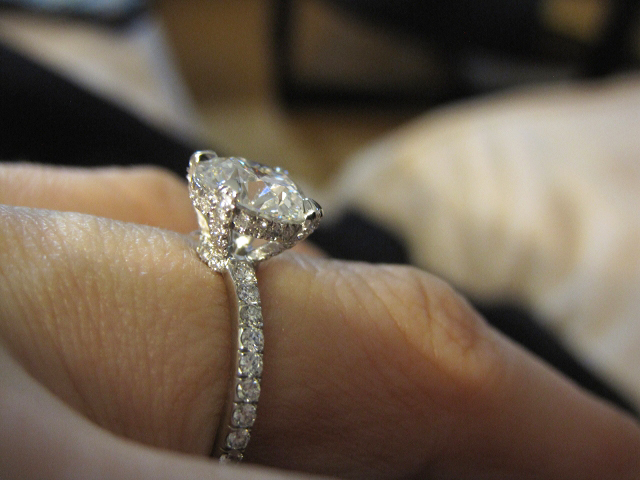 Meticulous in detail, ShaniB’s engagement ring shows us just why pavé has become the new classic for solitaire styles. 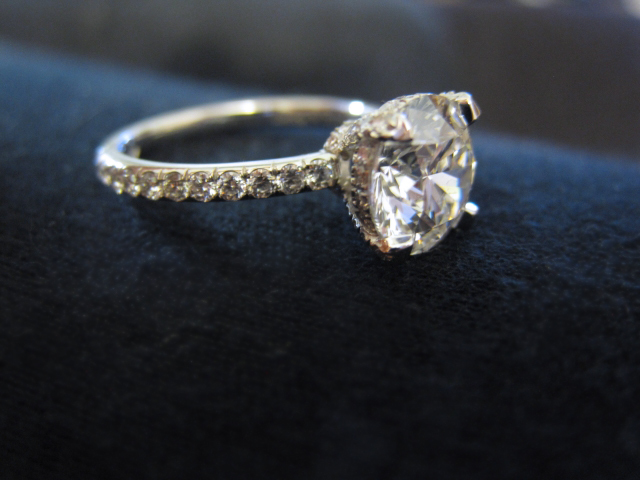 A glittering row of diamonds lines the ring’s band and gallery for a look of pure sparkle. And the diamond? A gorgeous hearts-and-arrows round weighing 1.7 carats crowns the jewel. 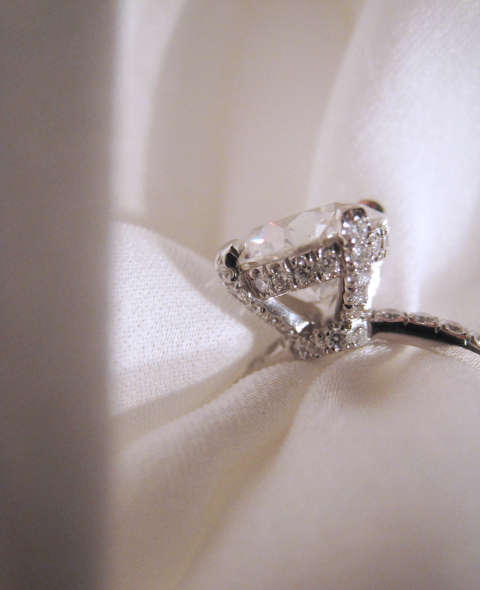 Be sure to visit ShaniB’s thread for more images and ring details: Engagement Ring–thank you Victor Canera! Post your Victor Canera beauties here!